Organise the ultimate Stag or Hen party based around some of the best outdoor activities in the UK. The big day is on its way and you want to organise an unusual and memorable Stag or Hen weekend that everyone will enjoy and talk about for years to come. We can do that for you. We aim to take all of the stress away - with our local knowledge and contacts we can organise friendly accommodation, restaurants, nightclubs etc. Or if you're after something a little different we can organise a bespoke trip out into the wilderness. Scotland provides the ulimate environment for the best STAG DO or HEN DO possible - get together, get wet, get dirty, go home with memories that will last a lifetime! 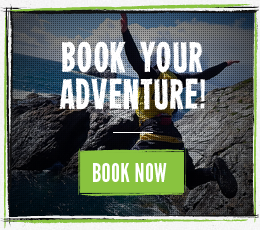 We can take all the hassle out of organising the ultimate STAG PARTY or HEN PARTY in Cornwall. Via Ferrata Scotland from Guest TV on Vimeo.